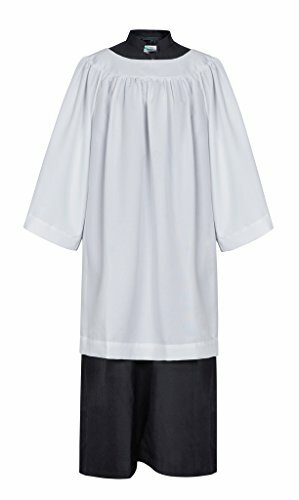 This traditional surplice is perfect match with our cassocks/chior robes with affordable price and comfortable touch. Squared/round neckline surplice could fit in your body excellently with its open sleeves. Our church surplices are of great washability and durability; you would find how easily to care and save. With its stretch freely, pure color, soft and full of features such as vertical sense, fantastic market potential; our delicate surplices may be beyond your imagination! !